The world of foam bed accessories can be confusing. Not only are there memory foam, poly foam, and natural foam options to consider, but to add to the confusion, even latex foam can also be further broken down into at least two distinct categories. 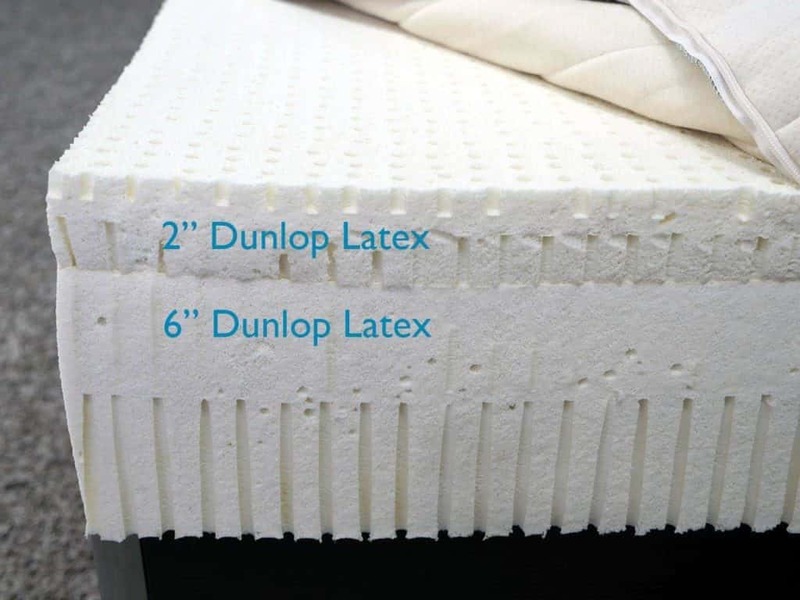 Here are the differences between Dunlop and Talalay Latex in order to help you decide what’s the best choice for you. Latex as many people think of it is natural foam, made from a milky substance produced by the hevea-brasilienis rubber tree (though there are synthetic latex foams; more on that later). This is removed from the tree in a process similar to maple tapping. The substance is foamed to create a myriad of tiny air bubbles, giving it the soft and bouncy texture latex foam is known for. A main selling point of latex foam is how natural it can be. It can be up to 100% natural, though it’s often at least partially synthetic, and latex foam from rubber trees is a fairly renewable product. Natural latex is chemical free, and can be marketed as a “green” alternative to memory foam, having many similar properties. It’s typically soft and bouncy, highly durable and long lasting, balancing a comfortable feel with a good price, environmentally sustainable production and a durable product. All forms of natural foam latex have the same initial creation process. 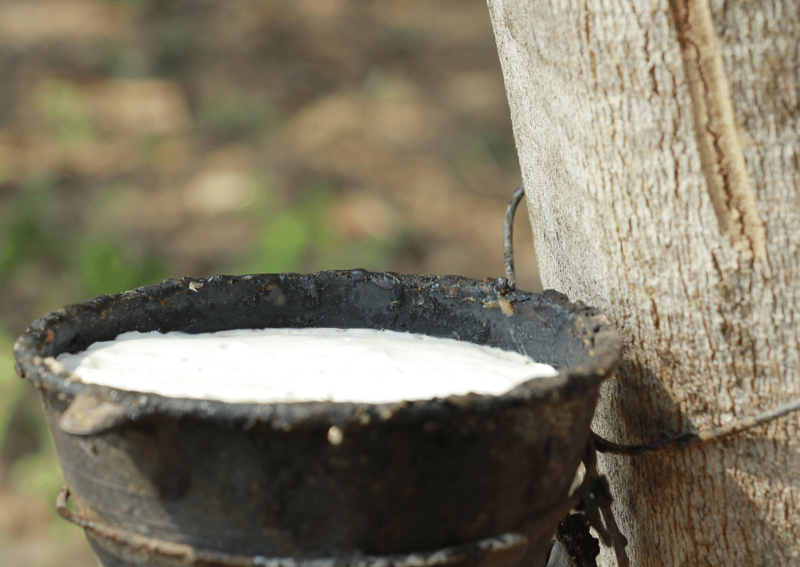 The milky rubber tree substance is extracted and a small amount of water is added. Processing the liquid latex into a solid requires addition of some other ingredients like foaming, gelling, and vulcanizing agents. These are typically natural soaps and sulfur. The liquid is then poured into molds, and it’s here where the differences between Dunlop and Talalay latex become apparent. Dunlop Latex is a form of latex production developed in 1929. Dunlop Latex is usually made from 100% natural rubber tree substance, foamed and set. This manufacturing process has the liquid latex mixture poured into the mold in one complete pour, totally filling the mold. After it’s poured, the mixture “settles,” which means Dunlop Latex is typically denser at the bottom and softer on the top. Talalay Latex is a newer form of latex production. It’s sometimes marketed as a more advanced and superior form of latex. During the Talalay production process, the liquid latex is poured into the mold, but the mold is only partially filled. The mold is then vacuumed, which expands the liquid latex to fill the form. It is also then frozen at -20F, in order to preserve the distribution of the liquid latex mixture within the mold. It’s then heated through a vulcanization process. Talalay Latex thus has a more uniform consistency, although it’s less dense than Dunlop thanks to the aeration. But it’s virtually impossible to be produced 100% naturally — it usually contains fillers like polyurethane or other synthetic ingredients. What Are The Pros Of Dunlop Latex? Dunlop Latex produces a soft feeling and durable mattress, mattress topper, or pillow. It’s soft and springy, has a quick response time to pressure, and is highly durable. The production of Dunlop Latex can be used to create 100% natural latex mattresses. This is ideal for those who are looking for an all natural mattress. Dunlop Latex bed accessories are usually extremely long lasting and will not need frequent replacing. What Are The Cons Of Dunlop Latex? A common critique of Dunlop Latex is its inconsistent density. Because of its manufacturing process, the liquid latex settles into the mold, meaning the heavier rubber particles sink to the bottom during the gelling process. Because of this, one side of the Dunlop latex may feel firmer and denser, compared to a softer and fluffier feel on the other side. What Are The Pros Of Talalay Latex? The Talalay Latex manufacture process removes the consistency issues of Dunlop Latex – the density is consistent throughout. The aeration process also produces a softer feeling, bouncier latex. It’s often seen as a more refined, luxurious latex choice. What Are The Cons Of Talalay Latex? By some estimates, Talalay Latex takes four times longer and consumes five times as much energy as Dunlop Latex. This makes it potentially more damaging to the environment and increases the price point. Talalay Latex is also impossible to produce 100% naturally – it generally exceeds the percentage of synthetic ingredients allowed by the Global Organic Latex Standard Certification. 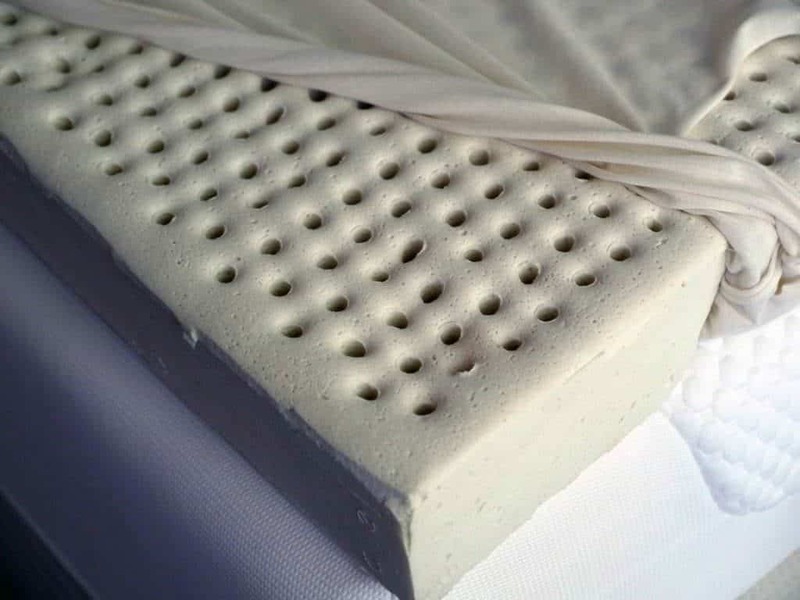 Talalay Latex is sometimes criticized in terms of durability. Because of the large amount of aeration, it isn’t as dense as Dunlop Latex, so it can feel less sturdy and have less longevity. Dunlop Latex has a less refined feel. It’s has a less uniform consistency, and it’s typically heavier and denser than Talalay Latex. However, the softer and bouncier texture of Talalay Latex can make it less durable and long lasting than Dunlop Latex. Talalay Latex is usually at a higher price point than Dunlop, and can last less well. Overall, if you’re looking for value, Dunlop Latex is typically the more cost-effective choice. Dunlop Latex is also kinder on the environment. It can use up to 100% natural ingredients. When you combine this with the fact that the mattress is unlikely to need frequent replacing, the carbon footprint is likely lower than that of Talalay Latex. For a Dunlop Latex option, we at Sleepopolis enjoy the Sleep On Latex mattress. 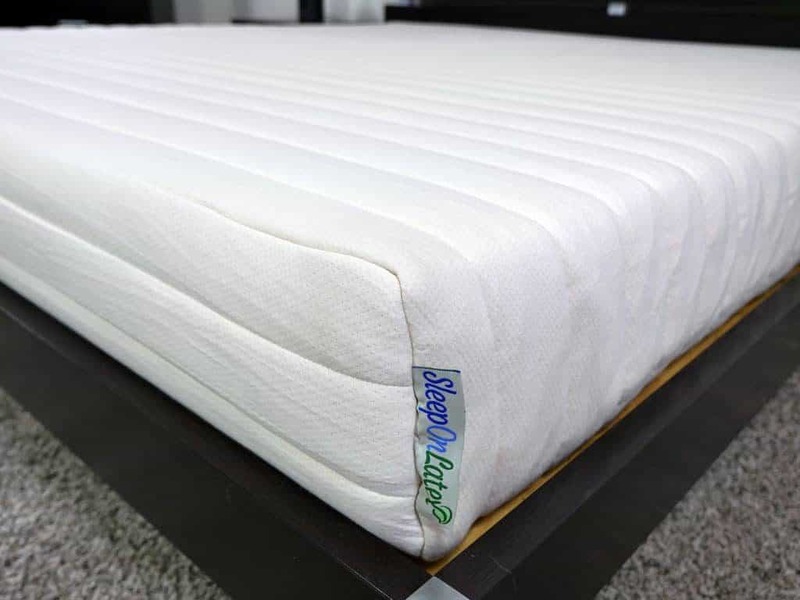 It offers three different levels of firmness, in order to really customize your sleep experience. It’s also one of the more natural mattress options, especially at its low price point ($1099 for a Queen). If you’re more interested in Talalay Latex, the Zenhaven Mattress is a great choice. It offers great support and pressure relief, and excellent spine support. It’s slightly pricier, but extremely high quality, at $1899 for a Queen. For us with adjustable beds, needing a split queen and want Luxurious Latex, quality at any cost, where could we look. Almost impossible to find and what we do find doesn’t appear to be as luxurious as desired.. Any suggestions or reviews for us to consider?